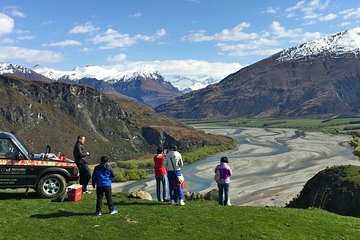 Experience the scenic highlights above and around Lake Wanaka during a 2.5-hour 4WD excursion. Choose your departure time from the Wanaka i-Site and journey through West Wanaka Station. Gain insight into Wanaka’s history and rich agricultural heritage with commentary from your guide. You’ll see it all, from alpine vistas to a working mountain farm.